However, not everyone likes (or should have chocolate). Whether it is concern about food allergies or the issue of the general consumption of sugar, you may want to give out something other than candy this Halloween. 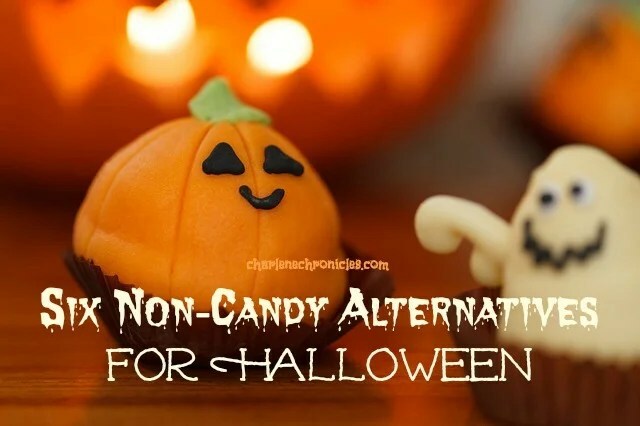 Here are some easy (and generally inexpensive) alternatives to candy. Pick up a pack of party size playdough. You can find the super small containers in many stores, including Amazon. Younger kids love things to play with, and even tween trick-or-treaters will like the novelty. Get packs of temporary tattoos and hand out one to each kid. Get a variety for young and older trick-or-treaters, boys and girls too. Similar to temporary tattoos, hand out stickers. Halloween themed ones are a treat. Get Halloween themed pencils and/or erasers. Not only it is a practical gift, but it is a fun themed one too. My kids always pick this option instead of candy when they have the opportunity to get spooky stationary items! Not only are these fun, but they can light up Halloween night. Kids love wearing them in the dark while they are trick or treating, and it can be a fun accessory too. Do you have any non-candy items you like to pass out as alternatives for Halloween candy? Share with us in the comments below!